Each $29 box contains 24 packs. 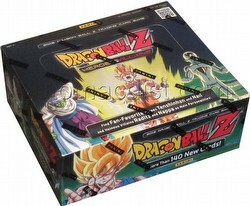 Each pack contains 12 cards. 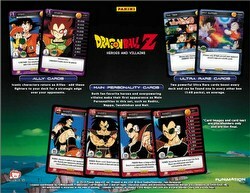 Dragon Ball Z Heroes and Villains introduces over 140 brand new cards. New heroes join the fray to square off against some of the most iconic and memorable villains. Heroes and Villains expands upon strategies and decks used in the first release, while also providing building blocks for future deck archetypes.